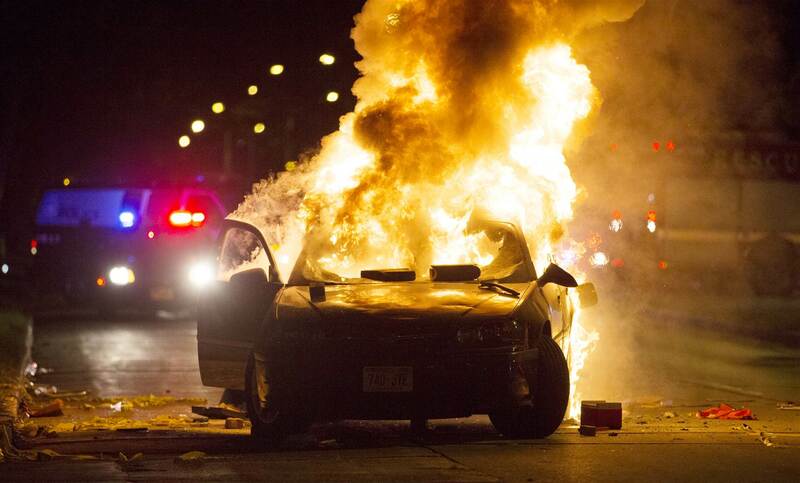 Violence and protests erupted in Milwaukee overnight after a man was fatally shot by police during a foot chase. Police said the victim, 23, was armed with a handgun and shot dead by an officer after fleeing a traffic stop on Milwaukee’s north side Saturday afternoon. Hours later angry crowds took to the streets, smashing a police car and setting fire to another. One officer was injured by a flying brick; a gas station and auto-parts store were set alight. Police said gunshots were heard.